The ENS allows employers to sponsor skilled workers to work in any part of Australia. and meet the English, skills and qualification requirements. There are 3 streams in which employers can sponsor skilled workers. They are Direct Entry stream, Temporary Transition stream and Agreements stream. 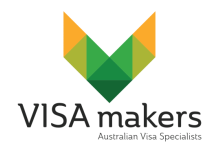 Employers in all parts of Australia are eligible to apply for the ENS visa. You are permitted to live and work anywhere in Australia. The Direct Entry stream is for workers who are untested in the Australian labour market and are applying for an ENS visa from outside Australia or are applying from inside Australia but are not eligible for the Temporary Residence Transition stream. Many students, working holiday makers and those on 457’s decide to apply through the Direct Entry stream. Meets the skills requirements for the nominated occupation. Holds a positive skills assessment for the occupation. Has been employed in the occupation for at least 3 years on a full-time basis and at the level of skill required for the occupation. Nominates an occupation on the Medium and Long‑term Strategic Skills List. Meets any training requirements for Australian workers. Not able to fill the position from the local market available to them. The Temporary Residence Transition stream is for applicants holding a 457 visa who have worked for their employer for at least the last 2 years and the employer wants to offer them a permanent position in that same occupation. - two out of the previous three years before the nomination is made, if transitional arrangements apply because you either held, or were an applicant for, a subclass 457 visa (which was subsequently granted) on 18 April 2017. Skills assessment can be requested by Immigration. Have met or make a commitment to meet the training benchmarks as specified for 457 sponsoring businesses. The Agreement stream is for applicants who are being sponsored by an employer through a tailored and negotiated labour agreement or regional migration agreement. The agreement should be negotiated with the relevant government body before proceeding. Semi-skilled workers may be eligible for this stream. For more details regarding the Agreements Stream please refer to the Department of Immigration website.